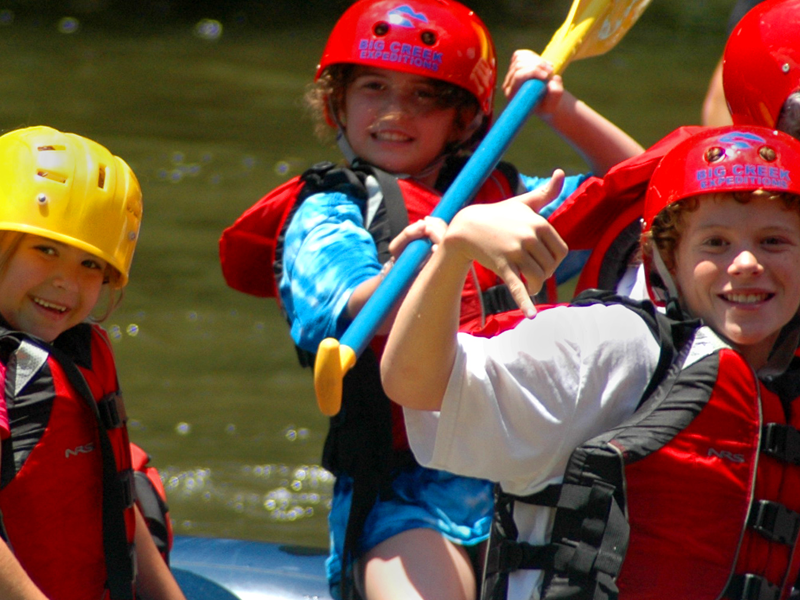 March 1st begins the start of rafting season in the Gatlinburg area. It’s a little chilly yet in 2014, but the skies are sunny and the vibrant stirrings of spring have already begun, with creatures and with plant life. For those who love the thrill of the whitewater, or prefer quietly rafting down the river in the blooming scenery, it’s good news that some of the rafting outfitters are opening beginning March 1st, with limited trips increasing as the season advances. 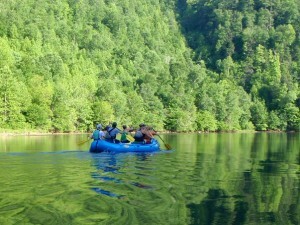 Big Creek Expeditions will offer Tuesday, Thursday and Saturday to begin. As prime Spring Break bookings draw closer, activities on the river will increase. Water release on the Pigeon River is unpredictable this early in the year – May begins the water releases from the headwaters dam that create the guaranteed whitewater – so it’s doubly important to check with your rafting company in advance for water levels and conditions before planning a trip. The abundant Spring rains will certainly offer whitewater and the full river experience, but it’s the predictability factor that’s absent from the calendar in March and April. Outfitters will call the best days at fairly short notice so it’s important to stay in touch. Be sure to see our Guide to Whitewater Rafting near Gatlinburg for more details on rafting in the area. Of our listed outfitters, Smoky Mountain Outdoors and Big Creek Expeditions are both opening March 1st. All four seasons in the Smokies have their unique features and favorites, as well as the fleeting moments and mysteries of the in-between days and weeks as the seasons turn. Those who love to hike the winter trails and welcome the cool, crisp air would say it’s been a great winter with some good snows. But now the winter season is turning as it must, and here comes Spring, so let that ice melt – and bring on the water!